The history of anatomy has been characterized, over time, by a continually developing understanding of the functions of organs and structures in the body including the clinical understanding of how damage to these structures effects other functions in the body. Physiology is the study of the mechanical, physical, and biochemical functions of living organisms. The College offers a wide range of courses from short, introductory to advanced certificate/diploma. The knowledge gained through the diploma courses will enable the student to pursue that area in work related practices. 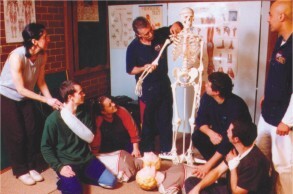 Courses are structured so that most of the learning takes place from hands on experience.